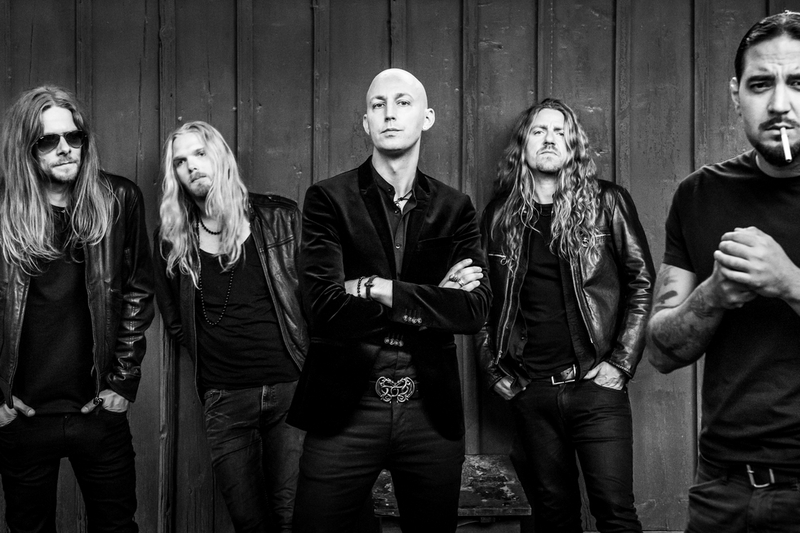 Lykaia, the third album from the Swedish progressive metal band Soen, was just released. I caught up with band founder and drummer Martin Lopez (ex-Opeth), who gives us the lowdown on the new record and other topics. Chad Bowar: How did guitarist Marcus Jidell come to join the band, and what led to the decision to have him produce the new album? Martin Lopez: The guys from Moonspell were recording in Stockholm and they invited Marcus, Joel and I for dinner. That’s where we met him. We had a pleasant evening sharing thoughts about music and pretty much everything else, and really felt that he was someone we would like to have in the band. We contacted him a few days after and asked him if he would like to be involved in Soen and he said yes! The producer role came naturally, as we started recording demos for Lykaia in his studio and we all felt he was more than capable to produce the record. How did the songwriting process for Lykaia compare to your first two albums? Lykaia is more of a team effort. Even though Joel and I wrote all the songs, there was a lot of involvement from all the guys. They all got to add their own character to the music and specially Marcus did a fantastic job working with the structures of the songs and adding guitar details that enriched the music. Stefan finally had the chance to properly record a Soen album and did a fantastic job as I expected and the same goes for our new member Lars Åhlund (keyboards), who has a very different approach to music than we do, and helped us keep the flame of creativity burning by constantly feeding us ideas and ways to evolve on the melodic side. How has the band’s sound evolved/progressed on this one? Lykaia is a natural progression for us. The album is more focused towards emotion and we also wanted the sound to be organic and more “human.” There are two new individuals in the band and I think that you can hear that in the compositions. How did you come to sign with UDR Music? We had a few offers and started talking to the labels who wanted to sign us and had a very positive feeling about UDR. They came to Stockholm and we told them what we wanted from a label and they told us what they expected from a UDR band and we agreed that we should give it a try. How does that change your expectations for the album? Our only expectation is to deliver quality music. We cannot do much for the commercial side of things and we don’t care much about it either. We do want to sell records because it gives us the opportunity to put more time into the band and therefore the space needed to write better songs, but we would never change anything about the way we create or express ourselves to chase a chart position or radio time. What has been your most memorable Soen live show? It must be our first show ever, because it was a disaster and after that show we promised ourselves to step it up and work harder which we’ve done! Today are all the shows are equally good. We love every second of them because we don’t tour often and that’s how we keep the excitement. We are doing a European tour in April, and that is as far as we feel we can book ourselves. We don’t want to schedule shows for the whole year simply because we don’t want touring to turn into a job and by that an obligation. It is key for us to have control over our band and our lives and we want to play live only when we feel like doing it. Do you plan a North American tour for this album cycle? We hope to be able to do a few shows in North America but it’s difficult at the moment. Time will tell. In an interview you said some of your influences include John Bonham, Gene Hoglan and Dave Lombardo. What type of influence do you think your drumming has had on the younger generation of drummers? I cannot answer that, but I surely hope that young drummers focus more on feeling that machine-oriented drumming. The latest Katatonia and Anathema albums. Yes, we are touring Europe in April.